Since we started growing cannabis in the early 1980’s, it has always been the aim of Paradise Seeds to select the very best genetics. This has resulted in a solid strain base, which is the cornerstone of work. Only selecting and crossing the most potent cannabis (marijuana) plants with the finest, sweet taste has led to the creation of the powerful connoisseur strains we offer today. 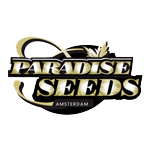 Paradise Seeds are in the privileged position of having a great test ground in Europe, where they can test and select the best genetics the plant world has to offer.